Business historians have produced several studies of individual builders but the construction industry has not until now been the subject of a wide ranging and synoptic study. This book helps to fill that gap. 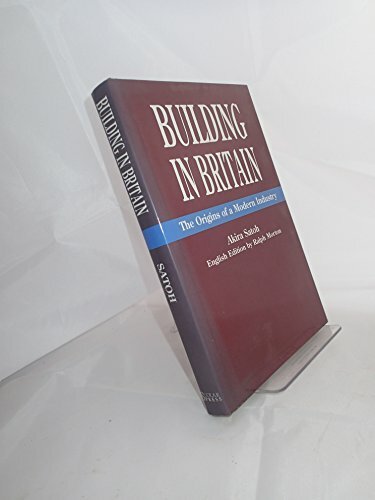 It is a re-examination of the history of the building industry from the end of the eighteenth century to the latter half of the nineteenth. The first part looks at the rise of general contracting as a system of building procurement, emphasising the complexity of that development and the persistence of other modes of operation. The second part examines in detail the technical advances in building - showing the inadequacy of the received view of the industry as technically backward. Separate chapters deal with the growing use of machinery in stone and woodworking, in brick making, and in site work. The final section synthesises the evidence presented and argues the case that the technical and contractual changes were the co-determining factors in the creation of a new - capitalist - construction industry. Akira Satoh teaches at the Aichi University of Education Kariya, Japan and Dr Ralph Morton is a former Director of the School of the Built Environment, Liverpool John Moores University.